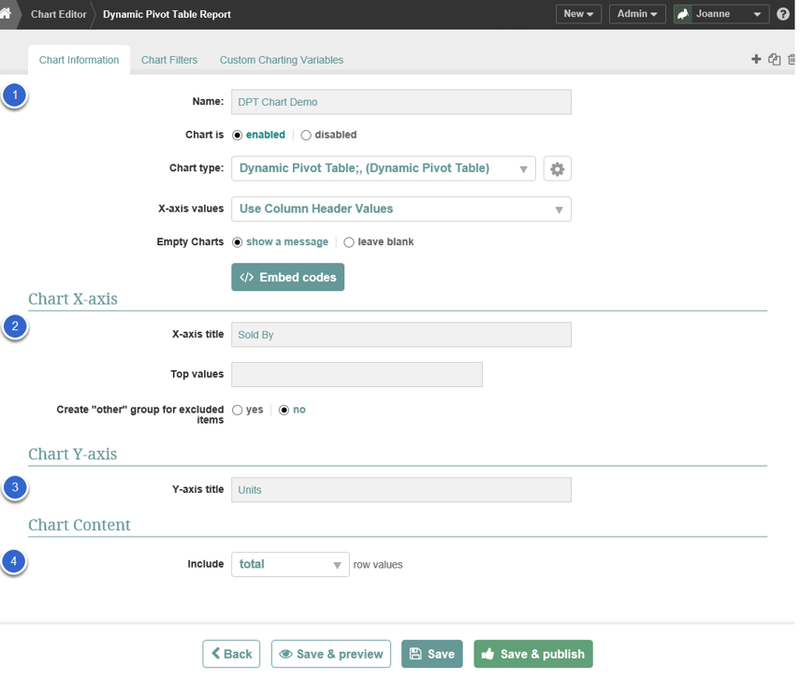 In many cases your reports will return multiple columns of data that you will want to scrutinize at different category levels on the fly. Dynamic Pivot Table Charts allow you to quickly sort, filter and re-arrange chart data to meet your everyday requirements. This article provides a step by step example of the process used to create a Dynamic Pivot Table Chart. 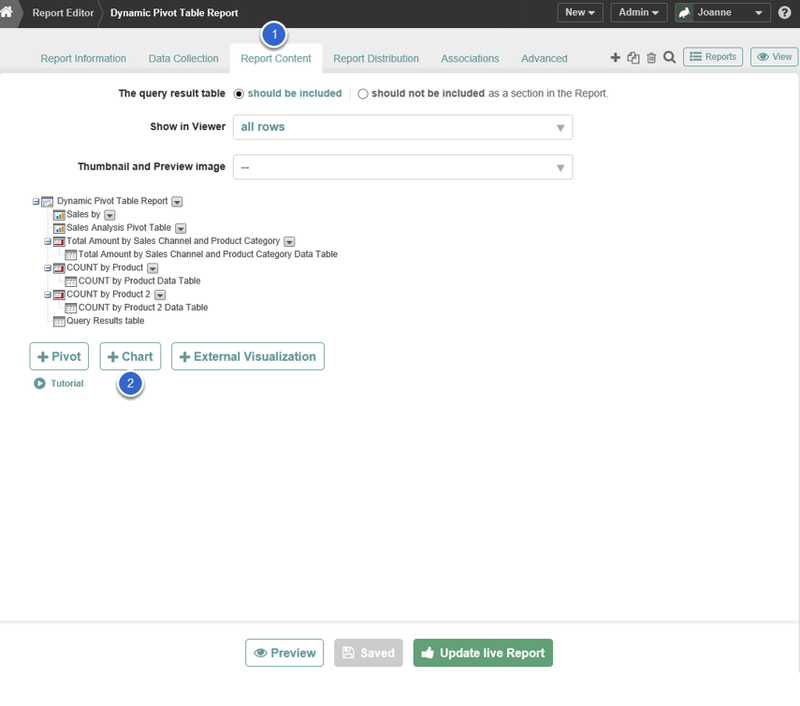 In the report editor, select Report Content tab. Select Report Result Set as the data to be charted. 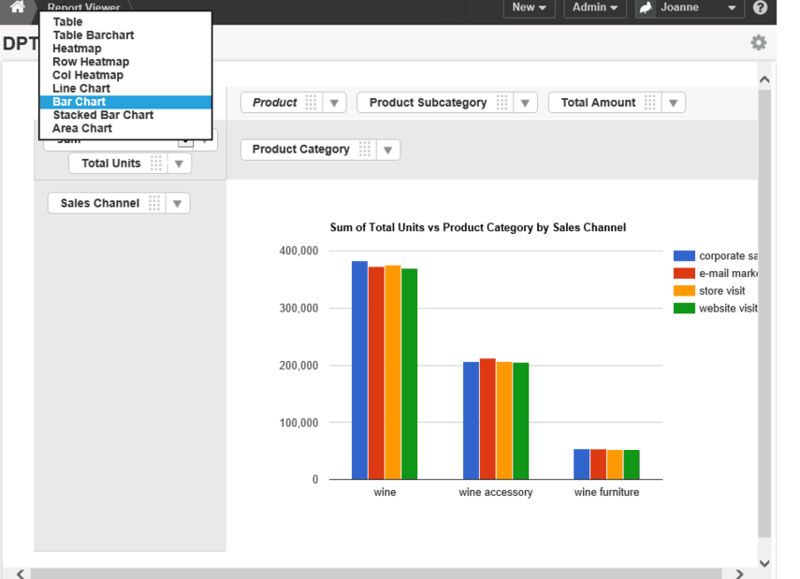 Choose Dynamic Pivot Table as the Chart type. Select Use Column Header Values as the X-axis value. Set X-axis definitions. Specify Use Column Header Values to return all columns. 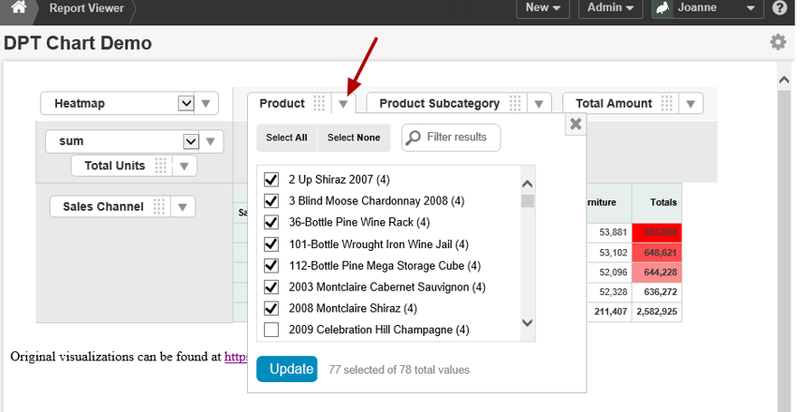 Navigate to the Chart Filters tab. 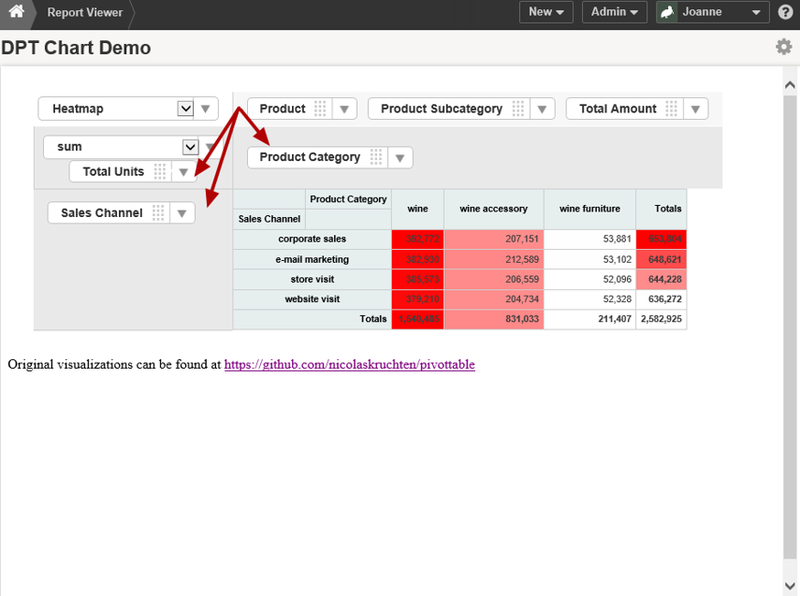 Note that this step is optional since the Dynamic Pivot Table Chart provides filtering capabilities.